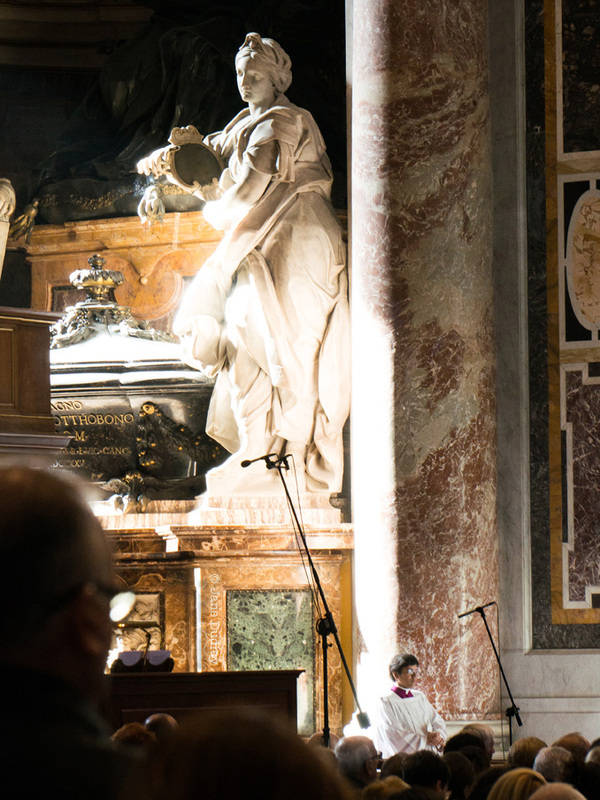 Taken during daily Mass last November in St. Peter’s Basilica. The statue is Prudence, at the tomb of Pope Alexander VIII. For scale, see the altar server there near her feet.